Dubai Healthcare City (DHCC) is a free zone that was established in 2002 and was designed for health and wellness. It is now recognized in the world as a place that has quality healthcare with a center for clinical and wellness services, medical education, and research and the International Society for Quality in Healthcare has accredited its quality standards. This Dubai free zone authority has two phases. Phase 1 is for healthcare and medical education. It is located at Oud Metha. Phase 2 is for wellness, and it is situated at the Dubai Creek. For simply the above-mentioned things, business setup in Dubai free zones is becoming a notable happening in the Dubai Healthcare free zone. The number of partners of DHCC, which is composed of hospitals, medical centers, and diagnostic laboratories, is near 160. These partners are from more than 150 specialties. For businessmen who are planning a business setup in Dubai Health Care City, the legal form options are Free Zone LLC and Branch. Business setup in Dubai Health Care City, like any other UAE free zones, is done through a systematic procedure that investors are expected to follow for a well-ordered processing for business formation in Dubai. It is not advisable to simply take business setup in Dubai lightly as it is not the kind of responsibility that is easily undertaken. Because of this, business setup consultants in Dubai are advised to be reached by your side, as they will provide the information and advice that you need. Generally speaking, almost all Dubai freezone companies were established because of the help of consultants. It is, therefore, no surprise that besides the features that investors see in DHC, the success of company formation that happens there is a plus. The role that business consultants in Dubai have in forming an organization is huge. They are the people that can provide the proper details about the business setup in Dubai free zones that can definitely guide you in making decisions. Although they can answer any question that you throw to them, consultants do not merely exist to give you the details on Dubai free zone company formation cost or even to have a future reference about the documents required for trade license renewal in Dubai. Aside from helping you decide where to open a company in Dubai free zone, they will actually do the job for you. This is the main purpose of company formation consultants in Dubai. They exist to ensure that your business setup in UAE free zones is taken care of and finish in the right timeframe. Investors from different countries in the world find that business setup in Dubai free zones is a good investment and a good way for business expansion. Business owners who have the idea to have a business setup company in Dubai in DHC can definitely be sure that their businesses’ requirements will be met by the facilities and solutions of this location. In the UAE mainlands, it is a requirement to have a local sponsor before forming an organization. The aforementioned local sponsor will have 51% of the company’s shares. 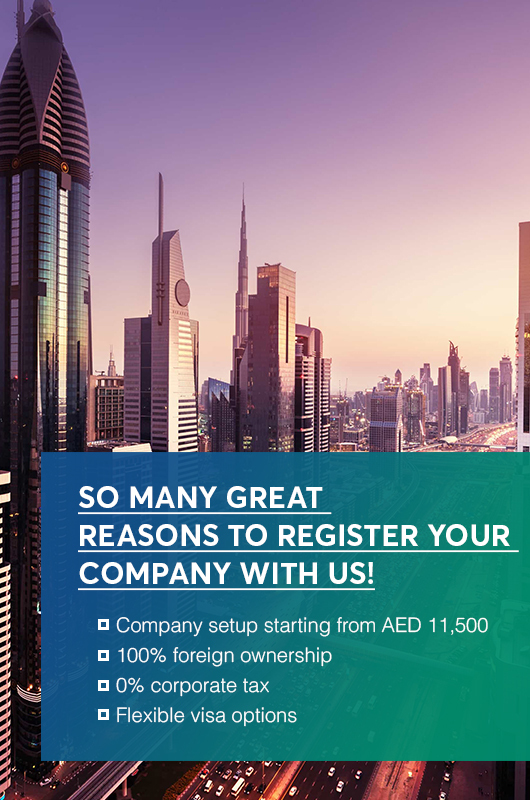 On the other hand, free zone company setup allows investors to begin with their free zone company registration Dubai without any local sponsor. Hence, the business owners will have 100% ownership of the company that they will establish. It is strategically situated between Europe and South-East Asia. It is established to be the catalyst of change in the healthcare industry since there seems to be a missing piece needed to further the growth of the country’s healthcare sector. The value-added tax has been implemented last 1 January 2018. Some goods and services have now VAT applied to them. It is perceived as banking on the negative side but it should be noted that the government is not asking for people to pay income and corporate taxes just yet. This is a brighter side of the situation. Investors can also see this as a big advantage because of this kind of tax exemption that most business owners look for. How to Set Up a Business in Dubai HealthCare City?